We all know that almonds are good for memory, but a new study reveals that including almonds in the diet may significantly reduce the risk of cardiovascular disease among Indians. Since Indians are more prone to heart diseases when compared to Europeans. Daily inclusion of almonds as part of a healthy diet can reduce dyslipidemia, one of the most important risk factors for cardiovascular disease among Indians, suggest a review published in the Nutrients journal, by a panel of nutrition and cardiovascular disease (CVD) experts. Dyslipidemia is a condition marked by high LDL-cholesterol and triglyceride levels and low HDL cholesterol levels. 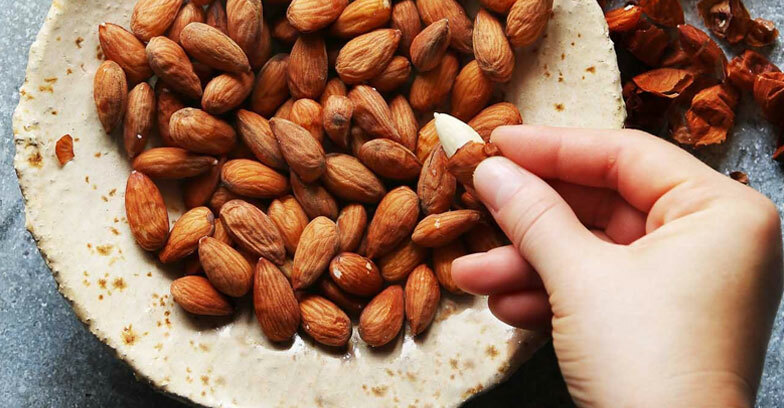 “Daily consumption of 45 grams of almonds in any form [crushed, wholesome, or in snacks] can help reduce dyslipidemia,” news agency PTI reports Soumik Kalita, the lead author of the study, as saying. There are many studies worldwide that talked about almonds and their ability to improve blood cholesterol levels. Rich nutrient profile and the presence of antioxidant vitamin E omega 3 fatty acids, and dietary fiber make it a super food.